Don't worry about lunch or dinner on Tuesday, March 14th. 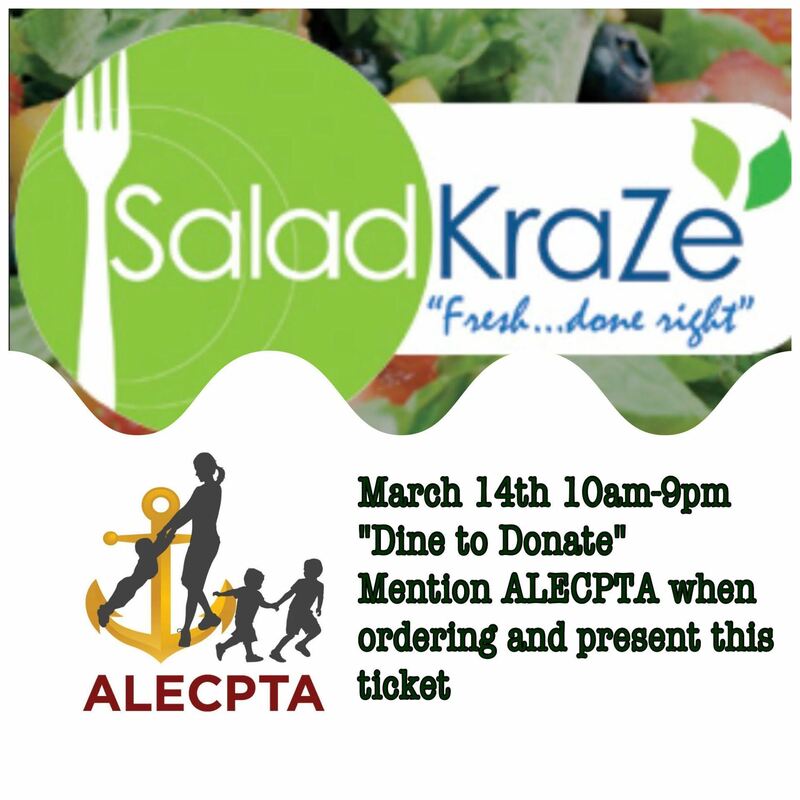 Stop by Salad Kraze in Avon Lake and show them this flyer. A portion of the proceeds will be donated back to Avon Lake Early Childhood PTA. A health option for the whole family!